I did my first official “Sharpie craft” about five years ago. It was a necklace with Shrinky Dinks, and it was such a blast that I was hooked on Sharpie crafts for good. In fact, right after that craft I bought a collection of Sharpies in every color! I realized the other day, as I was cleaning out my craft supplies, that I haven’t touched the Sharpies in awhile. And I think it’s time. To help me, and those of you who are also interested in trying crafts with this magic marker, I’ve put together a collection of over 20 Sharpie crafts. This is the ultimate guide to Sharpie awesomeness! If you want to be inspired, just scroll down. Have fun! PS – if you like this post, check out our Sharpie Dot Flower Pot Craft! Sharpie makes oil based markers, and they are perfect for doodling on lamp bases (for staying power!). 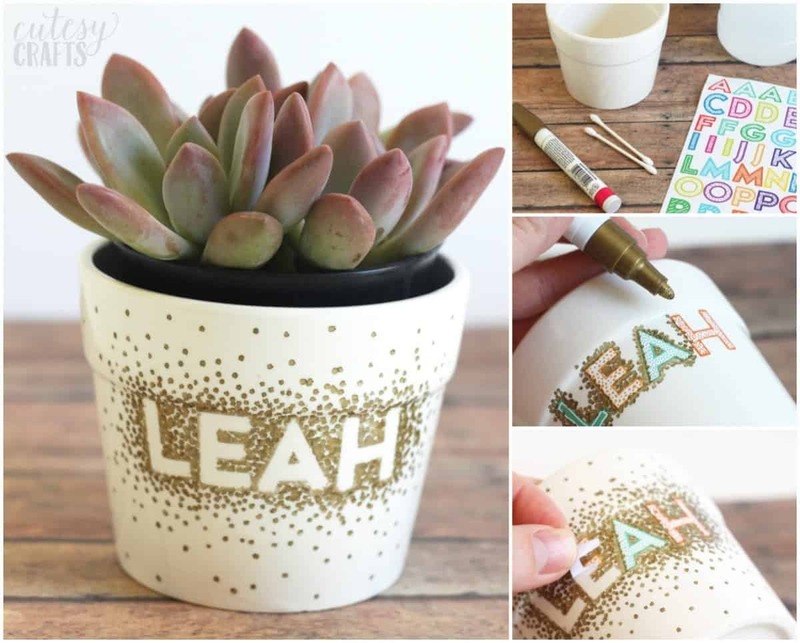 This Sharpie flower pot is so easy, even a kid could do it. Seriously, this is a no fail project! Take an old, yucky tote and add a funky pattern with Sharpies and isopropyl alcohol. Rubbing alcohol bleeds Sharpie in some fun ways – you can add to a t-shirt, and then draw details over the top. 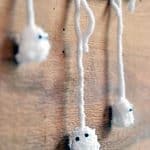 To make this cute necklace, I drew on Shrinky Dinks with markers and a stencil – then I shrank and added a chain. This project is perfect for either a white or clear umbrella – and would make a great gift. These amazing knobs look like real stone – but they were simply colored with Sharpie! If you don’t have the geometric pattern you want – buy simple white fabric and just draw it on! Serve goodies to your guests in style – add metallic accents to all of your dishes. You can get a cheap pack of hangers at IKEA – then you just dress them up with a gold Sharpie. This bag is great inspiration for doing your own doodles on fabric – or you can get the printables and iron them on to make a Sharpie holder. If you like the tribal look, get it on your phone case using a variety of Sharpie colors. Note: the original tutorial is no longer available – but you’re simply drawing on the back of the phone case with Sharpies in any colors you like! Doodling on a mug only takes a few minutes – then bake it to make the design stick. (This tutorial is no longer available but get the ultimate guide to Sharpie mugs here). Use a ton of colors to draw your favorite patterns on a pair of white shoes – I love these arrows! Use a Sharpie paint pen to draw any font on glass – just tape to the inside and draw! Recreate a $7,500 piece of wall art using plates from the dollar store with Sharpies – this is brilliant! Paint white or light colored polish on your nails – then add little birds with a Sharpie. Let dry and paint a clear coat on top to seal. 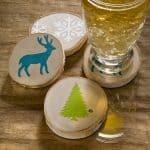 Draw whatever you like on wood discs from the craft store – then add a keychain hardware to finish. This is one of those Sharpie crafts that makes a great gift! This silhouette look is easy to get on a lampshade with a Sharpie – just use your favorite color. Don’t throw away those old light bulbs – draw on them with Sharpies to make unique home decor. Use Sharpies on all of your dishware! 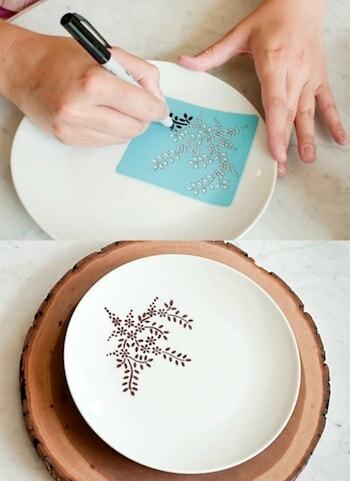 Just don’t let the Sharpie-d part come in contact with food – but they are great for decorative purposes. Julia re-did her bar and desk by adding a unique “wallpaper” pattern with gold Sharpie. If you love crafts with Sharpies – let us know your favorites in the comments! I did my most recent Sharpie craft a few days ago. I took an old car tag and personalized it for my husbands new car. It is designed with Carl (heart) Janet! lol He loved it! Thanks for sharing. Where can I buy Sharpies in South Africa? Hi Marilize! I would reach out to them via social media – I bet they could tell you. Hi Marilize I was so happy to find Sharpies at Makro a couple of weeks ago. Hi. Dont know where you live in SA, but I have seen them at the Stationary and Art shop in the Benmore shopping centre in Benmore. Where did you get your sharpies from? How many sharpies and how much (roughly) did it cost? I love the iPhone case one but only have 2 coloured sharpies and would love some more!